BlackBerry's Mobility Solutions unit manages the BlackBerry smartphone business and development of device software offerings that includes maximizing the best of BlackBerry 10 software features and making them accessible on other platforms. "An important initiative of the Mobility Solutions unit is a software strategy that combines BlackBerry's strength in security, engineering savvy and device experience. The result - the ability to extend the best of BlackBerry's secure communications and productivity features to any Android M consumer, enterprise or government customer," said Ralph Pini, Chief Operating Officer and General Manager, Mobility Solutions, BlackBerry. "Our customers have always raved about the unique experience of our proprietary productivity apps such as the BlackBerry Hub, calendar and contacts, amongst others. I'm excited that we're now able to offer these amazing features to all Android users that demand the most out of their smartphones." BlackBerry Hub+ for Android is a suite of applications that includes the BlackBerry Hub, calendar, contacts, notes, tasks, device search, launcher and password keeper applications for Android smartphones. Users can download a free trial from Google Play and access BlackBerry Hub+ from any Android device running 6.0 Marshmallow. The trial includes a suite of applications, including the BlackBerry Hub, calendar and password keeper. After a 30-day trial, users can continue using the apps for free with an ad-based experience, or subscribe to the entire suite of apps for 99 cents a month, which will include additional features: contacts, tasks, device search, notes and launcher. Additionally, users can choose to download the full suite from Google Play or just pick their favorite apps. 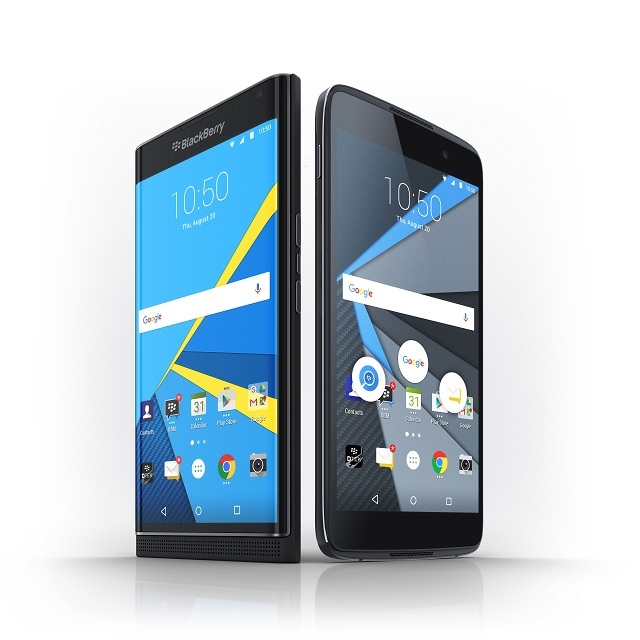 For users on BlackBerry® 10, PRIV™ and DTEK50™, all of these apps come fully integrated for a seamless out of the box experience. Calendar: View and respond to meeting invitations directly from the BlackBerry Hub. When you create or change events, you can avoid double bookings by viewing when you're busy. Using the "Join Now" feature, you can instantly dial into your meetings directly from your event reminder. And with Google Now™ voice commands, booking meetings has never been easier. Launcher: Turn multi-step actions like sending an email or calling a friend into a one-click task. BlackBerry Launcher lets you organize apps, widgets and shortcuts on customized home screen panels for instant access. For more information on BlackBerry Hub+, go to BlackBerry.com. Follow all updates to BlackBerry Hub+ on the Inside BlackBerry blog here.